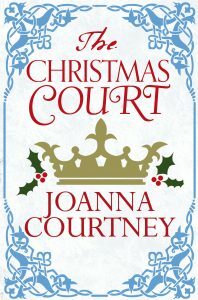 My guest novelist today on Triclinium is Joanna Courtney, author of the Queens of Conquest trilogy. Ever since Joanna sat up in her cot with a book, she’s wanted to be a writer. 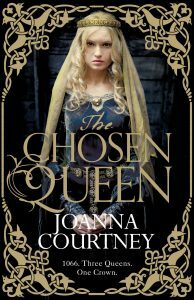 She has had over 200 stories and serials published in women’s magazines and now PanMacmillan have released The Chosen Queen and The Constant Queen in Australia with the final book, The Conqueror’s Queen, due to be launched in 2017. When studying English lit at university Joanna discovered medieval literature and unlocked what became a true passion for ancient history. She found the Saxons, Vikings and Normans absolutely fascinating and was very drawn to the amazing women – one from each nation – who were vying to be Queen of England in 1066. She wondered: How come everyone knows about the kings but no one about their queens? It didn’t seem right and so her trilogy seeks to tell their stories. To celebrate the release of The Constant Queen, Joanna is offering a free paperback copy. Leave a comment to enter into the draw. Remember to leave your contact details. Offer open to Australian residents only. Entries close at midnight 31 May 2016 AEDT. The winner will be drawn via random.org. Over to Joanna! I would say that I’m a reader first and foremost and from a fairly early age I was an avid Enid Blyton fan. She is a classic storyteller, drawing her readers in with solid plots and great characters and although her work is rather out of date these days I still love it. My key aim as a writer is to really let my readers under the skin of my characters and I think this early reading helped me in that. I have long been fascinated by medieval history and discovered the 1066 period when writing a local history book about some land owned by Queen Edith (wife of Edward the Confessor) in the Domesday book. As I learned more about the period it struck me how very male all of our knowledge of this huge year is. That’s inevitable given that all contemporary records (which are pretty sparse in the first place) concern land and war but I still felt there were things to be discovered about the women. For a start, how come almost everyone in Britain knows the men who were fighting to be king of England in 1066 but no one knows who was her queen? That thought led me to Edyth of Wessex – wife of King Harold – and my first book, The Chosen Queen, was about her. It was my agent who suggested writing a series and that was when I started exploring the queens of the other challengers. The moment I found out about the exotically named Elizaveta of Kiev, wife of Harald Hardrada and daughter of the even more exotically named Grand Prince Yaroslav, I was hooked. When I found out that we have real evidence (in the form of a poem apparently written by Harald himself) that theirs was a love match, I knew this was a story that had to be written and I loved every minute of writing it. I didn’t set out writing this with a theme in mind, more driven by Elizaveta and Harald’s fascinating and ultimately tragic story, but several did emerge as I explored their lives. The key one is perhaps that of how personal motivations inform wider events. As a historical writer you have to operate within the known facts but what really fascinates me is WHY people did what they did. Often it will have been pure military strategy but I am a firm believer that when it comes to the essence of being human we have not changed much over the last 1000 years. The key men in the 1066 story weren’t operating as robots but as real people and their relationships with those around them and, in particular, with their wives must have affected their decisions. There are many key points around 1066 where everything could have been different and most of those are because of decisions taken by various leaders. They took those on advice, on their own character and because of their own interests and exploring that is what really fascinates me in historical fiction. I’m a medievalist all the way – and an early medievalist at that. The Anglo-Saxons and Vikings built largely in wood so their way of life isn’t still imprinted upon the landscape in the way that later, post-Norman times still are, and to me that makes them wonderfully mysterious and endlessly fascinating. Sources are rare so I guess that’s where fiction can step in. I know that my books don’t necessarily tell history as it did happen but I’ve done a lot of research and hope that they tell it as it could have happened. Any I can get my hands on. Primary sources are almost non-existent in the Anglo-Saxon period, especially for women, but a lot of very clever people have written many wonderful books. I like to research widely at first before honing in on key details as I get a clearer idea of the story I wish to tell. The hardest things to find out are often the everyday details – what they ate and wore, how they kept warm and went to the toilet. These are vital when you’re writing as they create the authenticity needed to make a reader feel they are inhabiting the characters’ world, but they can be very tricky to pin down accurately. I love Phillipa Gregory and Elizabeth Chadwick. That doesn’t happen to me much. I write my first draft longhand and usually allow myself to overwrite, knowing I can edit back later, so more often it’s a matter of cutting out words than adding them in. I love writing modern stories from pictures but in terms of my historical writing it’s hard to find inspirational images. The art of the time was amazing but quite stilted so difficult to really love and clearly there were no photos. Photos of the landscapes that they inhabited however can really spark my imagination and as much of The Constant Queen is set in Norway there are some stunning places to really get my creative juices going. I really wanted to go and visit but, with children to care for, didn’t have the time, so I had to make do with the myriad images thankfully available to us on the internet now. Outside of my ‘historical’ self, however, I have always been drawn to images of pathways up to a horizon, or hidden worlds. As a child I loved stories like The Secret Garden and was always dreaming of finding my own magical places. 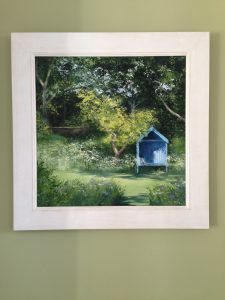 For my fortieth birthday a few years ago my Mum bought me a wonderful painting called The Summer House by Helen Howe, a Cornish artist. It has a bit of a pathway and, needless to say, an inviting looking den of a summer house. It speaks to me of peace and contentment and looks like the most wonderful place in the world to write. I have it on the wall in my office and it always inspires me if I’m feeling a bit lost or stuck. Write what you want to write, believe in yourself and be prepared for a long, hard slog! I am currently editing the third book in my 1066 series, about Matilda of Flanders, the wife of William the Conqueror, the eventual winner of the English throne in 1066. It’s been a wonderful challenge writing this book as up until I started it William had been very much the baddie for me. I was a bit scared about writing the events leading up to 1066 from the Norman point of view but also determined to embrace it and in the end I’ve found myself falling a little bit in love with William. Harold of Wessex, hero of the first book, is the archetypal boy-next-door (with quite a lot more power of course!). Harald Hardrada, as a hard-fighting Viking, is very much the sexiest, and William is earnest and geeky and very ambitious but the only one to have been faithful to his wife, so definitely not all bad! Elizaveta is a princess of Kiev but that doesn’t stop her chasing adventure. Defying conventions she rides the rapids of the Dnieper alongside her royal brothers and longs to rule in her own right as a queen. Elizaveta meets her match when the fearsome Viking warrior Harald Hardrada arrives at her father’s court seeking fame and fortune. He entrusts Elizaveta to be his treasure keeper, holding the keys to his ever-growing wealth – and eventually to his heart. 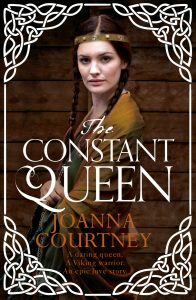 THE CONSTANT QUEEN is a powerful absorbing novel which tells the story of a daring Viking warrior, his forgotten queen and a love that almost changed the course of history. Thanks so much Joanna! 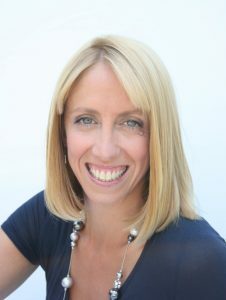 You can learn more about Joanna on her website and you can connect with her via Facebook or Twitter. The Chosen Queen and The Constant Queen are available on Amazon Australia or via Pan MacMillan. Don’t forget to leave a comment for the chance to win a copy of The Constant Queen! Remember to leave contact details. Offer open to Australian residents only. Entries close at midnight 31 May 2016 AEDT. Winner will be drawn via random.org. Not a time period I have read a lot about. This is how I love my history. Saxons are the new Tudors Mary- every bit as exciting and glamorous!! Give them a try. GOOD LUCK WITH YOUR RELEASE JOANNE! Thanks for dropping by Linda and Mary – historical fiction opens up the chance to find pockets of history that you’d never come across. I love that, too. And me. I recently read a preview copy of a novel about the Romanovs. Obviously I know the rough outline of their intriguing story but this really drew me in and now I’m keen to know even more. It takes a truly diligent researcher to build the life of someone when primary sources are so scarce. You have to be willing to intuit from art, maps, political writings, church writings, poetry, diaries, compendiums, all seemingly unrelated just to garner a comment or a stray few words that start a new line of thought. I’m looking forward to your book on Matilda, having always wondered if William could have found a match for his mind in his wife.